Astonishing film of war on the home and battle front in Britain and Europe, shot by ordinary citizens overwhelmed by total war. 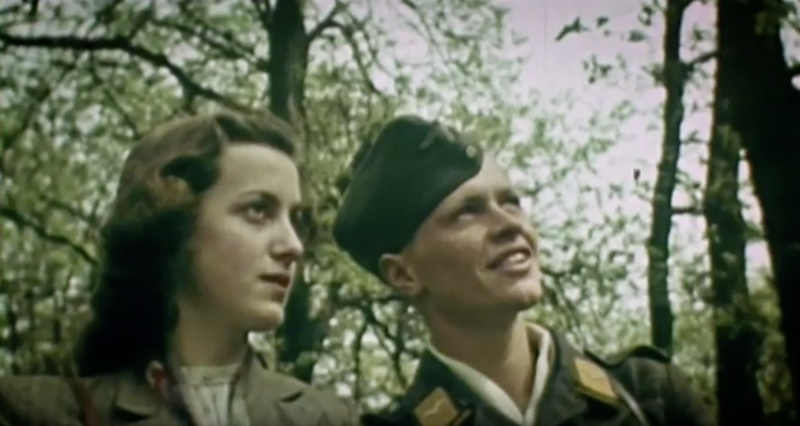 I spent many years collecting forgotten films, in Germany as well as Britain, that tell amazing stories of heroism, suffering, making do and just getting through the agonies of war. Some of these films, shot in Britain, show life on the home front, school life, evacuation, making do, Dad’s Armies and the hell that was the blitz. In Germany the films shot, sometimes in secret, tell the story of how Germans suffered at home and fought and died in France and Russia. I then turned them into an award-winning television series for the BBC called ‘Shooting the War’. To mark the 80 anniversary of the outbreak of WW2 I will show some of the extraordinary clips from the films I collected and we’ll hear the stories of some of the men and women behind the camera as well as those in the films and the way they survived those five years of hell. This talk can be structured over one hour or two hours with a 20 minute interval.